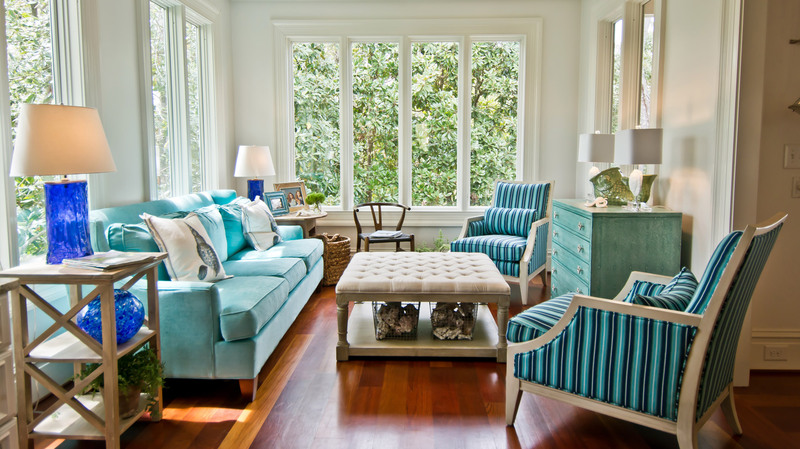 When it comes to decorating a home, paint may be the only thing that rivals fabric in the realm of decision making. Few things are as hard to replace and/or change if you grow tired of it, that’s for sure. At Guthrie Interiors we understand the pressure of your choice and we applaud anyone who already has it figured out. If you’re not sure where to start though, maybe we can give you some tips on where to begin in your decision making. Colors aren’t even going to be discussed, because the options can easily compete with the opinions when it comes to the endless possibilities. Where and what do you need to consider then? First things first, consider where “said” item is going to be in your home. Is it a general sitting room, that is going to be used on a continually regular basis? Is it a guest room, that really won’t be getting much use but you still want to look classy? Is the piece going to possibly be near a window where it may be exposed to prolonged sunlight, therefore be prone to fading? All of these factors should be taken into account to one degree or another. With the above questions in mind you should then consider your fabric options. Depending on your answers, durability may be a huge factor in your decision. Higher thread counts, woven patterns versus printed ones and choices with higher thread counts all tend to stand up to the test of time better than some of your other options. So if it’s going to be a daily sitter you’re trying to cover, those may be your best bets. If you have indoor pets that, let’s be honest, allowed or not tend to find their way onto the furniture from time to time, you may want to think about tried and true leather or maybe something with a microfiber. It’s going to be easier to clean when “Sparky” eventually finds his way onto that sofa or beloved chair. Patterns, both in color and the fabric itself may be something to consider as well. If you have a fancy, new age style/colored pattern on an obviously antique looking frame, those two vibes may clash. Keep in mind what it is that you’re covering and how that goes with your own personal tastes. With the aforementioned example, we’re not saying it can’t be done but it can sometimes be hard to pull off and doesn’t suit everyone. That can be a costly and time consuming experiment if you’re not careful.